Hang out the bunting, book the open top bus, break out the ticker tape parade, we’ve done the double over QPR! Today was not a day when anyone expected a free-flowing masterclass from either side, and in that regard, no-one will be disappointed. If that’s too many double negatives to handle, let’s just leave it as “it’s 3 points, performance less important”, although one suspects the manager will find something “phenomenal” about the Everton win. In a way, it was phenomenal that we won. It was a horrible game, scrappy, low in quality, and it was what it was – a battle between two sides scrapping for survival in the Premier League. One thing I will say, is that to win after the debacle last Thursday, to win after the long journey back from Kiev, and to win after being pegged back to 1-1 was actually a sign of good character. OK, that’s three things I’ve said, but you get the picture. We now have a short break, much needed, before we pick up again against Southampton, and it looks like we might be doing it without our only two strikers, with both Lukaku and Kone limping off. Wouldn’t it be fun to see Henen with his lightning pace, and/or Long recalled from Brentford where he’s not been banging in anything for fun, buzzing around with Naisy like three demented wasps at a late Summer’s picnic, causing so much distraction that Lennon can just stroll through the bemused defence to lash in a hat trick. Mental note: ring Doctor in the morning to check my medication levels. Anyway, we’ll see what happens. Well, we know that when your manager says you’ve got “9 Cup Finals” left this season, that you’re in the sh1*. That’s a relegation call if ever I heard one – but better to acknowledge the mire we are in than pretend, as we have for much of the season, that everything in the garden is rosy. We at least fought today, our legs seemed to go in the last 15 minutes, but hardly surprising (hang on, wasn’t our low key pre-season designed to avoid post World Cup burnout so we could finish strong?) given the emotional week we’ve had, let alone the physical demands. And that, dear readers, is where I might use the word “character”, even if I fall short of “phenomenal character”, and it’s a real positive from me. After the scars of Kiev have long healed on the body, the emotional scars take a little longer, just ask Seamus Coleman how long it took him to get over his mauling at Benfica. He doesn’t even go to Portugal on his holidays any more, in case he keeps getting overtaken on the inside and the outside on a three lane motorway. 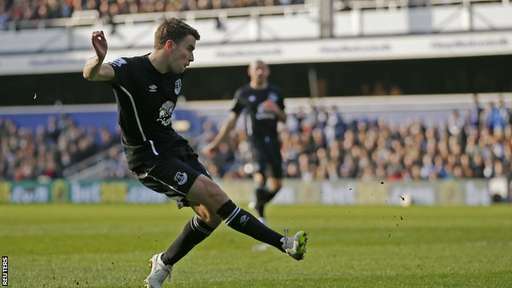 Talking of Seamus, remember that goal machine? He’s only gone and scored again, hasn’t he. He looked much more like his old self today going forward, and we’ll forgive the odd dodgy moment at the back, because he may be wondering if he’s ever going to get any cover back there. We really do have to get our full backs to stop a few of these crosses coming in. We learnt that Jags with Stones is like a different player compared with Jags with Alcaraz. Martinez may be reluctant to blame the defence in general and Alcaraz in particular, for Thursday, but I’m not in the least bit scared of putting blame where blame lies. Antolin was truly awful, and he makes those around him jittery, thus making a Premiership back 4 look like a pub team, with no offence to our friends at The Winslow. His absence today didn’t quite add up to a solid defensive performance, with their goal every bit as scrappy as any we’ve conceded like that this season, of which there have been far too many, but I suspect those scars again from Thursday don’t get healed when you arrive at the tight Loftus Road surrounds after the expanses of The Olympic Stadium (by the way, I demand a replay – when did the Ukraine ever get to host an Olympics? They’ve named their ground erroneously, and surely EUFA will grant us a second go….?). Defensively we were poor, but at least we weren’t atrocious, so on an upward trajectory. I know some might choose to harangue me for it, but I think the defence looks wobblier when we don’t have Barry. Well, we’ll find out soon enough won’t we. Sadly, his presence for most of this season hasn’t exactly helped, but I think we notice his absence more than some fans would care to acknowledge. Lennon rescued our torpid display with a well placed winner, and of course he had no excuse for tiredness as he hadn’t been to Kiev, let alone played. However, he did run about 11 miles against Newcastle, so he might have been blowing a bit towards the end. I’m impressed with his work rate and ethos, and it’s just his final ball that frustrates – and that’s why he’s on loan to us, his final ball is acknowledged to be poor, so I’m not sure he’s the answer to our long term need for width. But targets for the summer can wait for another day. Instead, we can rejoice in Stones, rejoice in a win, rejoice in a short break where hopefully enough of our international players have picked up a sufficient and temporary ‘knock’ to miss their country’s exploits, and we can rejoice in being 9 points off the relegation places. Yes, it’s come to that, barely a year since we managed 72 points to finish 5th, we can rejoice that relegation fears are fading if not extinct. It’s not time for any kind of celebration (come on, this is Everton), let alone the open top bus tour. PS If the mindless numpty who painted his displeasure on the walls of Goodison Park would make himself known to every other Everton fan in the country, pro or anti Martinez and the Board, then we’ll take great pleasure in inserting his paint brushes in a place where he’s unlikely to find them so free and easy to use. Previous Post Kiev – a last word?